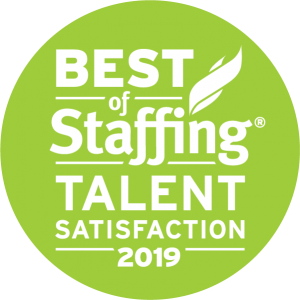 Winning the Best of Staffing award for Talent means we do things differently at Reliance Aerotech Services. Here are five reasons to choose Reliance to find your next aviation MRO job. We are aviation industry specialists. We’re not a division of a staffing firm, but part of a dedicated aviation company. You will work with recruiters and a management team who have noteworthy aviation experience and expertise necessary to help you find the right job without any hassles. ACA compliant Group Health Insurance. Flexible Vacation Pay Program that allows you to bank pay/days. 401k Retirement Savings Program that matches your contributions up to 6 percent. Employee Assistance Program to help employees and their families should they encounter problems. We provide written job offers. When we make you an offer of employment it is made in writing to ensure you understand all relevant issues, and so you know it’s a real job. We properly classify and compensate our employees. As the aviation industry specialist, Reliance Aerotech understands the law when it comes to working aviation contracts and you’ll never have to worry about worker’s compensation or a surprise income tax burden. Assigned aircraft mechanics at major aircraft manufacturing plants around North America. Stationed MD 500 mechanic aboard the NOAA Vessel David Star Jordan servicing a scientific mission along the Central American Pacific Coast. Mobilized a team of structural repair specialists to Jamaica to repair a damaged aircraft owned by the Jamaican Defense Forces. Assigned specific engine model subject matter experts as instructors to provide engine training to global MRO personnel for each facility’s certification. Sourced and mobilized Tech Rep personnel for overseas assignments in Russia, Asia, Europe, and Africa. Vote in this month’s aviation MRO poll and enter to win an Aviation Talent with Backbone™ t-shirt. With more than two decades of aviation staffing experience, we understand our role in keeping valued employees satisfied. We believe you will find us much different than the “body shops”. By treating you with respect, and expecting your best, we believe we will keep our customers (which means great jobs for you) and our employees over the long haul. Honestly, Reliance is a good company with management I feel tried hard to treat their employees well. That’s why I stay. I’m very satisfied with the position, the post and the people I’ve worked with at Reliance. Some of the little extras show that y’all truly care about PEOPLE. Reliance was and still remains the most professional and honest aviation recruiting staff I have encountered in my career.